Please join us if you're in the area. 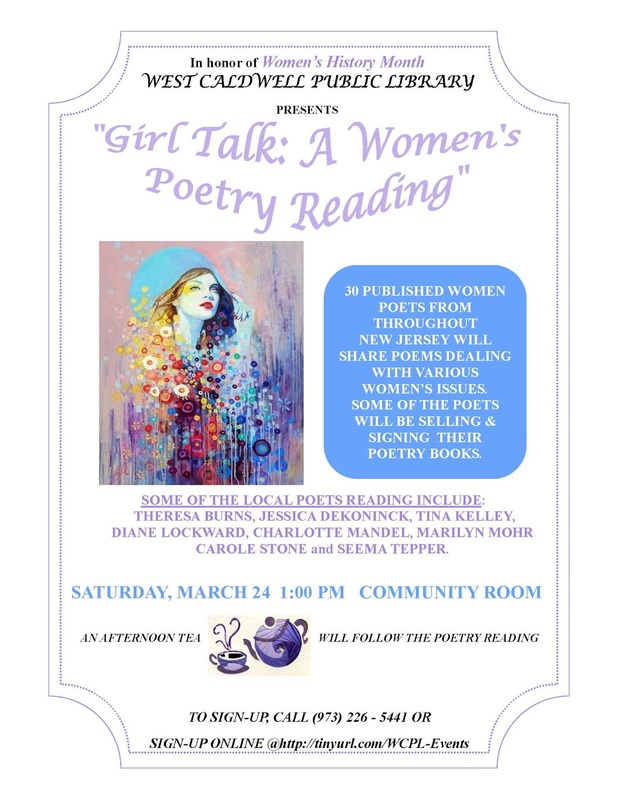 Lots of poetry, cookies, books! All manuscripts accepted for publication by Terrapin Books are carefully edited. Several months before I plan to publish the book, I send instructions to the poet on how to prepare the manuscript for editing. I then go through the manuscript and mark it up with red comments. I send it back to the poet who then makes the fixes and returns the manuscript to me. 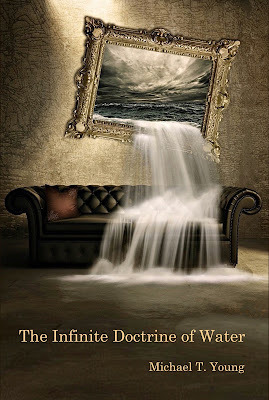 Following is a Q&A I conducted with Michael T. Young about the editing and revising process we engaged in with his forthcoming book, The Infinite Doctrine of Water. It should give you a good behind-the-scenes peek at what goes into book production at Terrapin Books. Diane: I recall that when I accepted your manuscript I right away suggested a structural change, that is, I suggested that your three sections become five. Do you recall why I made that suggestion? How did you implement it and to what effect? How difficult was it to make that change? Michael: Yes, I recall you felt the poems were dense and thought-provoking and, consequently, that some extra space could help them. This change made sense to me since I intend my poems to be thought-provoking. Grouping them into shorter sections would provide greater thematic focus and, at the same time, more intervals in which the reader could digest all they elicit. I tackled the restructuring by rereading the whole collection and looking for additional thematic arcs within each section. Given that the original first two sections were rather long and the final section rather short, I focused on those first two sections. It was somewhat easy to break these into four sections with coherent thematic arcs. The first section was the easiest, requiring no shuffling of the poems. The other three new sections required a little tinkering with the order of poems both within and across sections to give them coherence. This was also influenced by the need to reorder poems from the final section which had an abundance of poems with water imagery. Moving those poems across the other three prior sections helped create connections across sections and filled in gaps within sections that were wanting. The process was somewhat slow since every reshuffling required I reread entire sections and try to hear both the individual pieces and how the whole related. Diane: Early on I was also concerned about your overuse of light images and the repetition of the word light. Were you aware of the excess when you assembled the collection? How did you go about fixing this? How did those edits change the manuscript? Michael: I’ve always had a penchant for light and related images. Even my previous two collections have an abundance of such images. When one is publishing individual poems in journals this is, of course, not an issue. It’s only an issue when assembling a collection. Diane: Point of view was another issue. I noticed an excessive reliance on first person I. Tell us how you addressed this point of view issue. How did the changes you made affect the collection? Michael: This abundance wasn’t as difficult to correct as the use of light. A few of the poems were in first person in only a minor way. That is, a few of them had a first person pronoun in only one sentence but the rest of the poem made no direct reference to the speaker. Removing the single first person pronoun from these poems was rather easy. This, combined with reshuffling some of the other second and third person poems from the final section throughout the rest of the collection, provided for a balance the collection didn’t have in its original form. I was very grateful to rework this aspect of the book through the editing process. 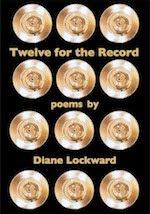 Diane: I also made editorial suggestions for a number of individual poems. What kinds of changes did I suggest? Were you always agreeable? Give us a few examples of poems that were revised during this process of preparing your manuscript for book form. Michael: Suggested changes ranged from comma insertions and stanza breaks to changes of diction and a few line deletions. I wasn’t always amenable to changes. For instance, with the poem “Sage.” This poem contained the word light and you suggested it be removed and another word used. But I felt any alternatives I came up with didn’t say exactly what needed to be said or failed rhythmically to keep with the tone of the poem. It was one of the few that I didn’t change. But there were a number of good changes made. For instance, in “Close Reading,” we changed the word skirred to skirted. Although skirred was the more precise word, it is unfamiliar and likely to have been read as a typo by readers. This was something you pointed out and I thought it was a reasonable assumption. So the change seemed a good one. A few concluding lines were removed altogether, as in the poems “Setting Fires” and “Paperclip.” Both these poems were afflicted by my old habit of providing the reader with a kind of summation which dampened what was otherwise a strong poem. Removing such summations allowed the poems to resolve in a strong image. Diane: Your original title was Turpentine. I recall saying that while I very much liked the poem from which that title was taken, I didn’t think it fit or did enough work for the collection. I suggested several other possibilities. What made you choose The Infinite Doctrine of Water? Michael: The Infinite Doctrine of Water was another title I had been considering. In fact, when I prepare manuscripts for submission, I often prepare both a full-length collection and a chapbook to send to publishers. In preparing the chapbook which corresponded to this full-length collection, I was using the title The Infinite Doctrine of Water for that chapbook. Like light, water also is a very important image to me and moves throughout all my poetry. So the change was really an easy one. In fact, as soon as we changed it and were, at the same time, in the midst of revising and reordering, it became immediately obvious that “The Voice of Water” was the ideal final poem for the collection, when originally it was earlier in the final section. 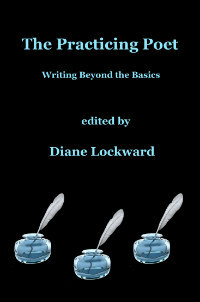 Additionally, would it be too much to say that as soon as we changed the title, ideas for the book cover flooded my mind? For all these reasons, the title change seemed immediately right. Michael T. Young is the author of two previous poetry collections, The Beautiful Moment of Being Lost (Poets Wear Prada, 2014) and Transcriptions of Daylight (Rattapallax Press, 2000). He is also the author of the chapbooks, Living in the Counterpoint (Finishing Line Press, 2013), winner of the Jean Pedrick Chapbook Award, and Because the Wind Has Questions (Somers Rocks Press, 1997). His work has been published in such journals as Cimarron Review, The Cortland Review, Little Patuxent Review, Potomac Review, and Valparaiso Poetry Review. He is a past recipient of a poetry fellowship from the New Jersey State Council on the Arts and has been featured on Verse Daily.